Sure it might seem strange to refer to a spider (or insect trap) as having an anatomy. Everyone know the basics of a spider’s anatomy ( 4 pair of legs and a 2 sectioned body). 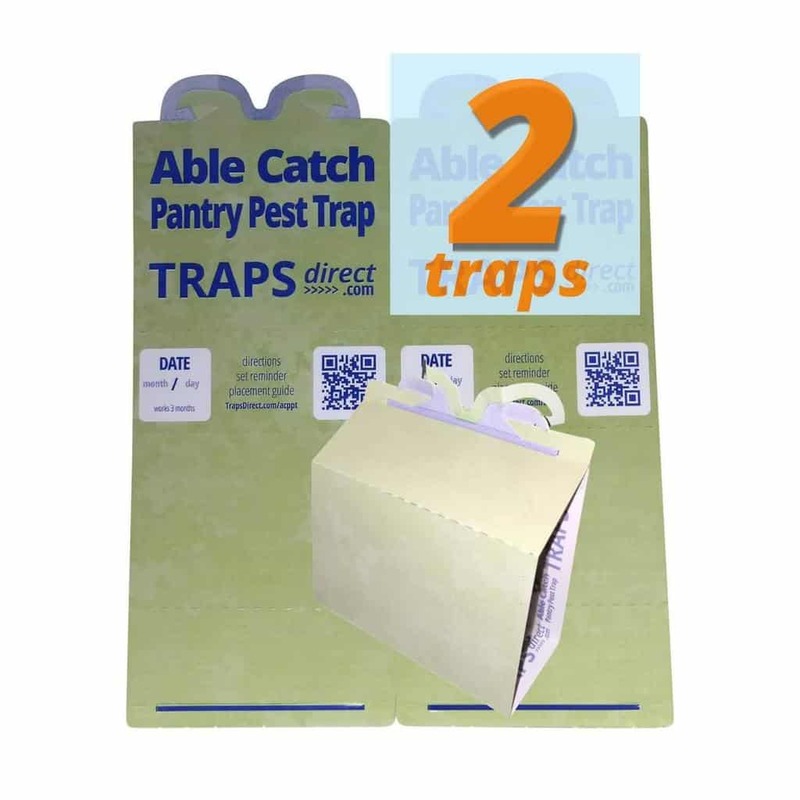 But when it comes to describing the anatomy of a spider trap it goes beyond any one of product packaging, construction materials, assembly method, placement options, warning zones or edge-to-edge active trap surface. Spider Trap Anatomy needs to include all of these elements.. I am not going to try some clever mapping of the spider trap package as the skin of the trap, and follow into the construction materials as bones, and the adhesive sticky area as the heart, because it just doesn’t make sense and fell apart (yes, I had tried to make it work, but it won’t). Instead, I’ll describe the major aspects of a spider trap by category and attributes. For example, Product Package : Materials – Color. In each category I’ll try to include objective metrics that you could use to compare one brand of spider trap to another. For example a Product-to-Package ratio or trap edge length ( you can compare how many inches of trapping edge are present). When there are uncommon terms, I’ll include a brief definition and a link to a more detailed post if the term warrants. Of course we are talking about the container holding the traps. Sustainable packaging is the obvious preference, but I’ll also look at the space the product occupies ( sometimes called dimensional or volumetric weight) because larger dimensions drive a higher carbon foot print. Messages (Spider trap Name, target insects, marketing messages), Markings (QR-Code, UPC, EAN, Stock code, EPA registration number), Languages (English, Spanish , French, etc), Color(s), IPM Record Keeper. Here we’ll be looking at the cut outs ( slot (shaped, or slit), tab ( rounded, angled ) and helpers ( pre-folded bends or perforations). 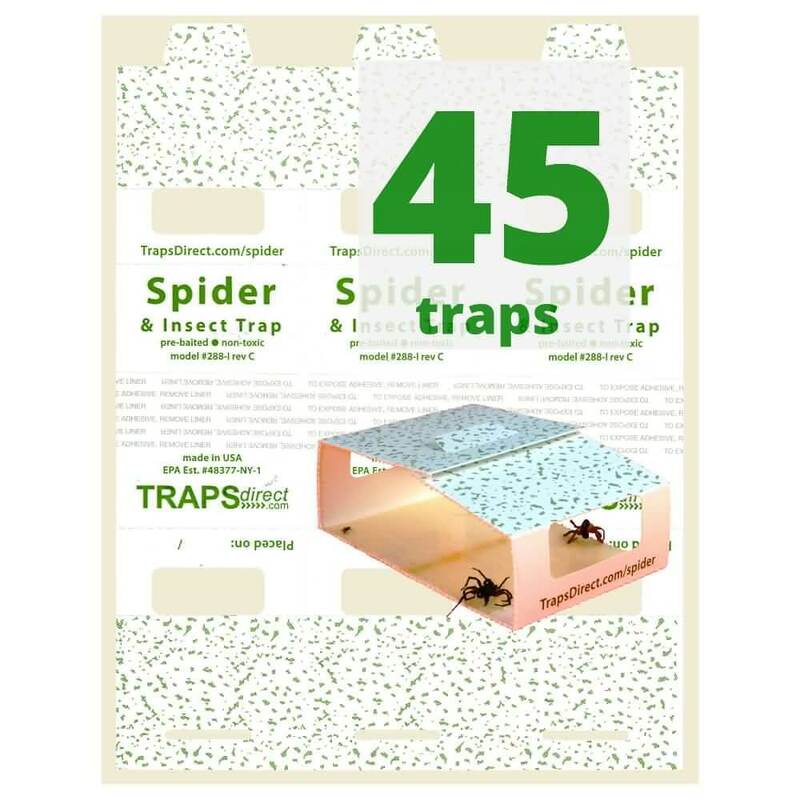 The first encounter with a spider trap should be the active trap field. In an edge-to-edge trap there is no warning zone the first step contacts the active trap field, and depending on the insect can be the last (depending on the number of legs, millipedes and centipedes may still be able to escape). Spider traps using edge-to-edge design catch more insects. Instructions for assembly, placement and any additional assistance will be included here. If / When possible photos or actual text from the spider traps may be included. Is there any thing else: Reorder information, Material Safety Data Sheet, Assembly Videos, QR-Codes or Website support links. 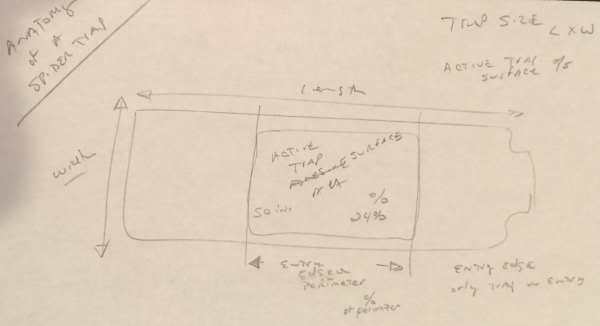 This entry was posted in Spider Traps Blog and tagged active trap field, edge-to-edge trapping, spider trap anatomy.